It’s been so long since I’ve wordpressed. 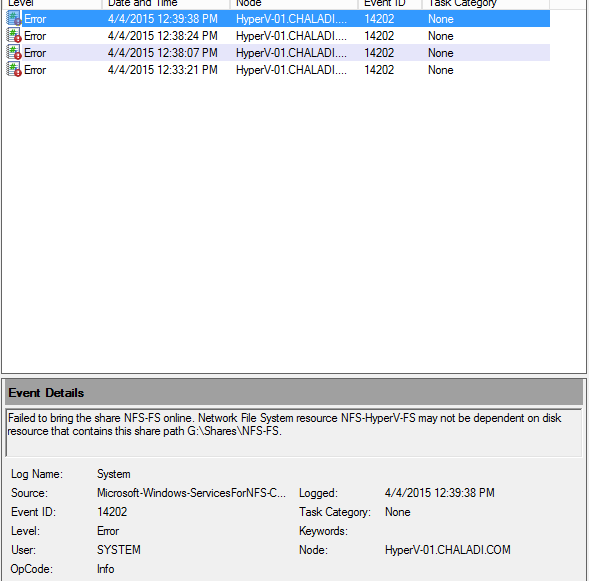 The below short article wrote help to fix the 14202 errors in windows failover cluster – Titled “How-To Fix windows Failover cluster 14202 Event ID error”. Issue deals fixing One of the Cluster resources failed to start with this error in FCM (Failover Cluster Manager). 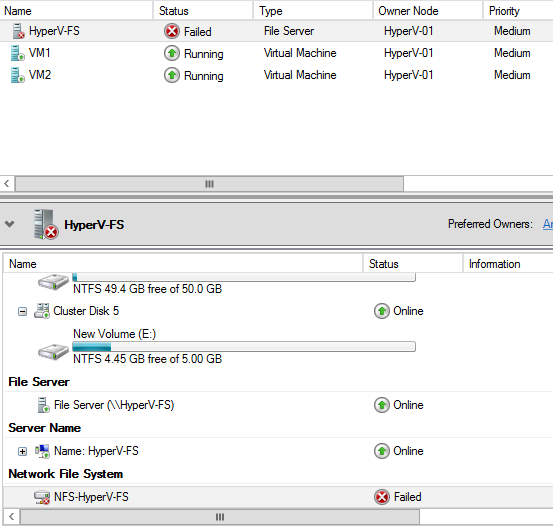 It can be NFS / someother fileshare/disk based resource hosted on FCM. Upon looking at the Resources of this Failed Cluster resource, you can see that NFS/resource related to this is in failed state. To see what’s causing the issue with NFS/related resource failures, you have to go to Cluster events to know more about the error cause. 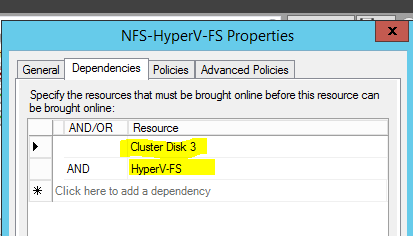 Now you see that NFS-HyperV-FS is not dependent on disk resource G:\shares\NFS-FS, so it is failing to get the cluster resource online as there is no dependencies for the NFS share we’ve configured to use for this NFS cluster resource. 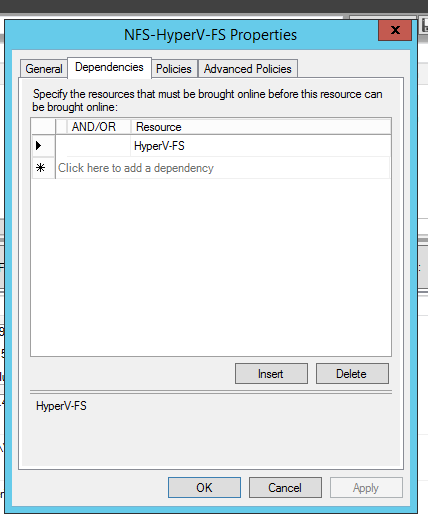 NFS file share works when it has dependencies/resources allocated to it. Please let me know if you have any questions/trouble fixing this kind of errors. 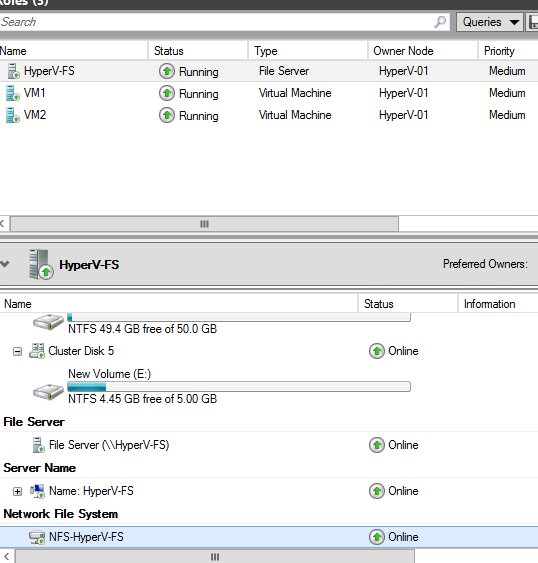 You can always comment if you have issues with Failover Clusters in Windows or VMware.